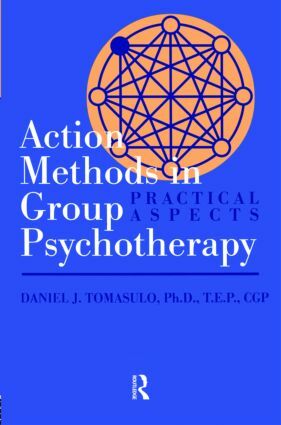 "I have tried to offer a brief and yet as thorough as possible introduction to the world of action methods in group psychotherapy. As a reader, you may be pressed with the daunting task of starting a group, or if you are a seasoned professional, you may be faced with the challenge of adding action to your already existing group. To accommodate these diverse needs, I have included in the chapters on action methods and therapeutic factors exercises that should help you increase your awareness and develop your skill. For those who need a faster method of setting up and establishing a group, I have included in the final chapter, "Quick Start," a summary of information on how to begin and maintain a group, focusing on practical and functional material. The pressing need to deliver more services to more people with fewer dollars has put a spotlight on group psychotherapy. Action methods can maximize the psychotherapeutic experience in a brief time frame." - Daniel J. Tomasulo, from the Preface."